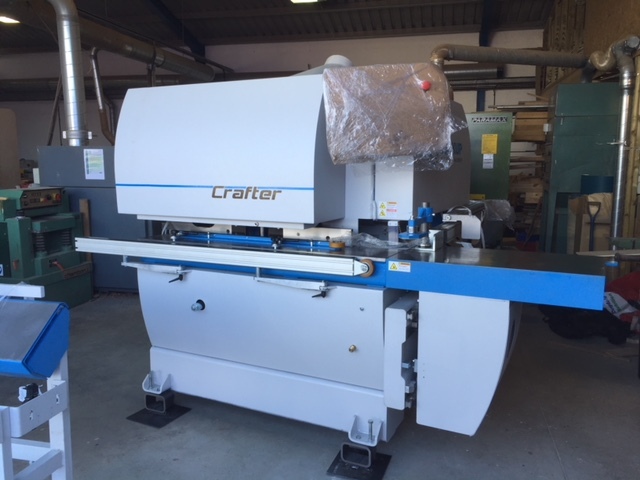 Edisford Joinery have recently taken delivery of their new CNC machinery! Below is a news article taken from Woodworking News about our installation. IWM Ltd, UK sole agents for the Soukup range of machinery for the joinery industry, have just completed the installation of a Soukup Crafter CNC Joinery, Window and Door manufacturing centre at Edisford Construction & Joinery Company in Lancashire. This two-man joinery company has invested in the Centre to manufacture casement windows and doors, and sliding sash box windows. Operations include producing the boxes for pulleys and weights, balance springs, hom sections, cill section and trenching the cill for the box linings more efficiently. The aim is to satisfy the increased demand for good quality timber windows. According to Edisford the aim has been met, “our new Soukup Crafter is now up and running. The finish is incredible. We would like to thank the Soukup team for all their support – what a great service.